Hey there! So you’re engaged? CONGRATULATIONS!! Now comes the fun part, right? Planning your wedding can be stressful, but if you take your time on the big decisions the rest will fall into place. Commonly, the first two big decisions you have to make are for your venue and photographer. 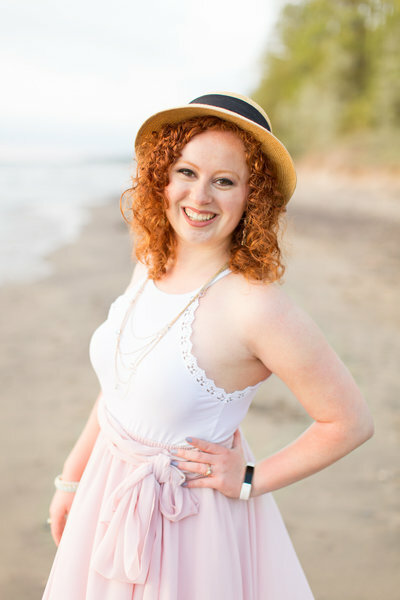 Choosing the right photographer can be difficult because there are just SO many options out there! Everyone has a friend that does photography these days. So how do you choose? When you do, how do you know if you chose the best one? Here are some questions to ask yourself when looking at wedding photographers. 1. Do their pictures have a consistent style? You want to know what to expect when your photos get sent back to you. Are their pictures consistently bright and airy, or are they more dark and moody? Can you see a specific style or are all of their pictures different from the last? If every picture looks different from the last in terms of light, color, mood, and contrast, it’s likely that your photos will come back that way as well. Look for a photographer that has a consistent style in their work. 2. Do I like their style? Now that you’ve determined that they have a consistent style in their photos, ask yourself if this is a style that you like? Do you want the photos you get back to be more dark and edgy or lightly colored with a more romantic feel? Which would you prefer to see in your home or album? 3. Do you like their personality? The first place you’ll start to see a photographer’s personality is usually through their website or social media. Do they sound like someone you would enjoy being around? This is a big one to ask yourself during a client meeting as well. Your photographer is going to be with you for every part of your day. From early morning hair and makeup to the grand exit. Is this someone that you could see yourself spending the day with? 4. Do they offer a second shooter? No professional wedding photographer should shoot a wedding without a second shooter. There’s just too much that happens during a wedding day for one photographer to truly capture the day. When you are walking down the aisle you want to have one photographer that can focus on you while the other is capturing your groom’s reaction. Or during the ceremony, you want one who is focusing in on you two while the other is capturing your families reactions. 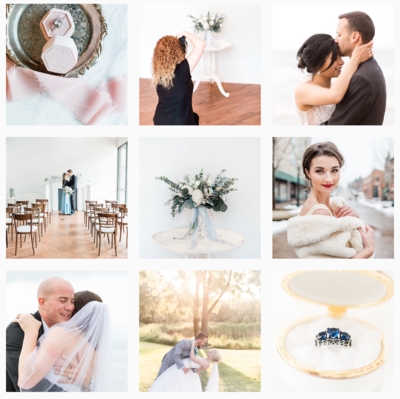 Valerie Michele Photography is a Wedding Photographer, Engagement Photographer and Destination Wedding Photographer based in South Bend, Indiana. Serving Michiana, including South Bend, Michigan City, Kalamazoo, Grand Rapids, St Joseph and Indianapolis. Available for destination travels worldwide. © 2019 Valerie Michele Photography. Design by Mandie Forbes.